Hello, I’m Jane and I’d like to welcome you to PetStay Glasgow. We appreciate how difficult it can be to leave your dog whilst you go on holiday. You just need it all to be right, so you can leave with peace of mind and get on with enjoying your well-earned break. Well you’ve come to the best place! PetStay Glasgow offers customers and their dogs a second to none boarding service. Just take a look at our reviews. Please have a look around the rest of our website for more service information and our news and reviews. Our service is proving so popular that we are always looking for new, dog-mad carers to join our 5- star team. So if you or anyone you know would be interested, please get in touch with me. To find out more or to arrange a visit to one of our carers in the Glasgow area, please get in touch using the details below. Are you worried about leaving your dog in kennels? Have you ever considered a dog sitting or home boarding service in Glasgow? At PetStay Glasgow we’ve carefully selected many caring and affectionate people who will care for your dog while you’re away on holiday. Our dog sitters in Glasgow who are all vetted and insured provide a far better experience for your dogs than kennels because we provide a home from home environment, a real alternative to kennels. PetStay Glasgow are licensed and insured to care for your pet. Here at PetStay Glasgow we offer an outstanding dog sitting service to families who want the peace of mind of knowing their dogs are happy and settled in a loving environment whilst they are away on holiday. Since 2005 PetStay have gained an excellent reputation for providing a dog home boarding service second to none, far removed from the experience of dog boarding kennels. Now PetStay Glasgow are becoming known as the local dog sitters. You will receive a daily allowance, starting from £13.50 per day. Thank you PetStay for taking such good care of Bronwyn on her two recent stays with two of your lovely dog sitters. In February she stayed with Gary and Trish, then this week she stayed with Caroline. On both occasions, I was updated on how she was this is such a lovely touch to know your beloved pet is being taken care of. See you all soon. My dog Charlie (Beagle) went to stay with Tasha and Hamish for 2 weeks. Having had a bad experience with kennels, Jane Recommended Tasha as she had a beagle and felt that Charlie would fit in well. I cannot praise Tasha enough. She was great with Charlie. Kept me updated about their adventures with text and photographs. It made me relax and enjoy my holiday knowing Charlie was being so well cared for. I will certainly use Petstay again and thank Jane for her help in finding Tasha. I am very grateful for the wonderful care Rubble had during his stay with Jane and Sophie. This was Rubble’s first holiday without me and it was so reassuring to know I was leaving him in such a loving family home with an experienced carer. The introductory meeting, when Rubble and I got to meet Jane and pass on practical and detailed information, ensured that during his stay his wee doggy quirks were understood and his usual routine followed. Jane took the time to update me every day and it was good to know he was happy and settled, enjoying long muddy walks (his favorite kind!) and lots of snuggles. I picked up a very contented, relaxed and extremely well-groomed dog – thank you, Sophie! After such a positive experience boarding Rubble through PetStay, I have no hesitation in recommending them to anyone looking for a ‘home from home’ for their pet. “I would definitely recommend PetStay Glasgow to anyone who wants their dog looked after in a home from home environment. From the first contact with Jane I was very impressed with the professional approach. Ollie is a dog who likes his own surroundings and is wary of strangers. I was unsure if he would stay with people he didn’t know but wanted to give it a try as it was a better option than kennels. Jane asked lots of questions to help identify the correct carers. Planned a trip away over Christmas and my friend who generally looks after Corrie was unable to accommodate . PetStay was recommended. I contacted them just days before I was due to go away they said they had just had a cancellation and agreed to contact Beth who very kindly agreed to have Corrie for the week I was away. Corrie very quickly made himself at home and I left for my holiday with no concerns . Beth sent couple of updates during this time to reassure me all was well. I would not hesitate to recommend this service and would definitely be happy to use the service again . Corrie was very well looked after . I chose to use PetStay as I didn’t want to leave Harley in kennels – she was adopted from a rescue centre 6 months previously, so I was reluctant to put her in kennels again so soon. She is also a very people-oriented, affectionate dog, so I felt she would be happier in a home environment. We met with Beth beforehand and it was clear that she loved dogs and Harley seemed to take to her immediately. The whole process of choosing and meeting the carer was very thorough, with all of Harley’s routines and needs being noted, which I also found very reassuring. Leaving Harley for the first time was never going to be easy, but she clearly remembered Beth and was already eyeing up the sofa by the time I left! I got a text from Beth the next morning to let me know she had settled in (and claimed the sofa, of course), and also an email update the next day complete with a photograph of Harley relaxing after a lovely long walk. Knowing she was being well cared for meant I could enjoy my break without worrying. I would definitely recommend PetStay (and Beth) to anyone looking for an alternative to boarding their dog in kennels. Arya had a wonderful time with Tasha & Joe and their beagle Hamish whilst my partner and I were away galavanting in Norway! Tasha gave us regular updates and pictures, letting u know how Arya was getting on. This put our minds at ease, knowing our little one was in safe hands. I would happily use PetStay again in the future. Thanks very much! Our border collie, Amber stayed with Dot for nearly two weeks. We were kept informed of how she was getting on with a daily photograph of her. Also given a diary of daily events, walks etc with a “holiday postcard” of events whilst on holiday. Would not hesitate to recommend PetStay Glasgow, Jane and Dot. Amber is returning to stay with Dot for another holiday in the New Year. So pleased to have found Jean & Pat to look after my dog whenever I go away on holiday. They really do take care of her as if she were their own dog. It means I can leave her and relax whilst I’m away knowing she is in such safe hands. Christine and I couldn’t be happier with Charlie’s holiday with Lynn and her dog Mikey. We were apprehensive as Charlie is a 1 year old and doesn’t get left on his own for long ,photo attached. Our experience with Petstay was amazing. Barbra and her husband Fred took excellent care of my boy Eddie and sent regular WhatsApp’s to update how he was doing. I will definitely use Petstay again. PetStay stepped in & helped me in my hour of need. Let down last minute they found me a perfect match in Dot, Paul & lovely Roxy their old English sheep dog. Friday our dog had a wonderful time & I’m hoping to use Petstay again very soon. Can’t rate you highly enough. We have used Petstay a number of times over the years and the service has always been brilliant and Sooty and Cinder have always enjoyed their doggy holiday. For this holiday they stayed with Billy and June who took really good care of them and treated them like their own. Cinder was suffering from a sore leg and needed medication to be given each day which Billy and June were happy to do. I’m sure Sooty and Cinder will be visiting Billy and June again for another great stay! Charlie, our lively and attention-seeking Jack Russell stayed with Lynn and her own small dog for 12 days and couldn’t have been looked after better. He had had serious surgery 2 months before, this did not deter Lynn, whom we met twice beforehand, she is calm, practical and delightful. During the holiday we received photos of Charlie which were reassuring for us as he looked very much at home( asleep on top of Lynn alongside her dog Mikey!) and out walking , tail-wagging. We have no hesitation in recommending PetStay, the arrangement was set up easily and professionally, Jane had a selection of pet-sitters to choose from. For example we wanted someone who would not be out for long periods as our dog is not accustomed to that. We will certainly be using PetStay again. I only wish we had found PetStay before now. I contacted Jane last minute due to family illness. The service was superb Jane was extremely caring and soon paired us up with Dot! What a match ?? Jonnie felt at home from the start and Dot was so loving such a fabulous lady. Jonnie had a fab 5 day holiday with lots of walks cuddles and a new friend Roxy ?? We will definitely use this first class service again it gave peace of mind the entire time we were away. A very friendly, and professional service from Jane at PetStay Glasgow. Felt very at ease and happy to let our dog Jess stay. It was only an overnight stay but would certainly use PetStay again, particularly Jane. Used Petstay Glasgow to organise a pet foster carer to look after my dog Bailey and I was extremely impressed with all aspects of the experience. I found Jane from Petstay to be very responsive and professional and would have no hesitation about recommending this company to others. The carer Jane organised for Bailey provided exceptional care and made Bailey very much a part of her family whilst we were away. Tasha provided us with daily updates on how he was doing and as a consequence I was able to relax and enjoy my holiday knowing he was getting 5 star care. A brilliant experience all round. Thank you Jane but more importantly thank you Tasha. Keera, our very spoiled Irish Setter, stayed with Dot and was so loved and spoiled exactly the same as she is at home. Truly a home from home experience. Communication about her days was excellent and regular updates with pictures was perfect. We were also provided on Keera day to day escapades which is a lovely personal touch. Dot’s dog Roxy and Keera were like the two musketeers. I found our whole Petstay experience fit perfectly with our needs from the first contact with Jane to meeting Dot and her family. Keera was comfortable from the first meeting with Dot and this made our decision to use PetStay easy. I will have no hesitation in recommending this home boarding service to all of our friends and family who are looking for a holiday home from home. I cannot thank Dot enough for everything and giving us peace of mind while we were experiencing a very challenging holiday. Thank you!! ““Never having had to board our boisterous wee Frenchie, Kyla, previously, we were really unsure how it would work out and needed to feel 100% comfortable that she would be happy wherever she was going to stay. Jane made the process really easy; from the first call, Kyla’s initial visit to see Jean and the family dog, lovely old Murphy, through to making the booking itself. Any worries we had about how Kyla would settle in were dispelled the second she ran into Jean’s house, jumped up on her and started showering her with kisses! Importantly it also let Jean see what a bundle of energy and naughtiness Kyla is too! That initial, pre-booking meeting is so important as it lets both the owners and the boarders decide if your dog is right for them, and that you’re comfortable with them too. Jean and her husband Pat were so welcoming and eager to ensure that Kyla had the best experience possible. They completely put our minds at rest and Kyla clearly had a wonderful time with them. I’m sure that poor old Murphy was quite glad to see the back of her though! “I was extremely happy with the care Jean and Pat gave my little Oliver. I hadn’t really expected anyone to want the responsibility of caring for a 16 year old dog with so many health problems, and so many pills to give him. Oliver isn’t keen on taking medication at the best of times. I was pleasantly surprised on meeting Jean, and I can’t thank her and Pat enough for the care and attention given to Oliver. Not forgetting Murphy, their dog. Next time I need a few days away, I will be phoning PetStay. Our Springer Spaniel, Max had another happy holiday with Jayne and her family. Max seemed to recognise Jayne’s house as soon as he arrived and was completely settled when we left him. Jayne kept us updated with what Max got up to – long walks and plenty of playtime with the family. We were able to relax on holiday knowing Max was well cared for. He was pleased to see us when we picked him up but in absolutely no rush to leave! The sign of a contented dog. My Labrador Jet stayed with Dorothy back in July, and was well looked after. Could not fault the service we required absolutely amazing. Jet was walked regular and Dorothy even gave in and let him up on their couch. Jet has a fear of wooden floors and Dorothy went out her way to make Jet comfortable by putting down runners. Could not fault the services we required. Would definitely use Pet Stay again. We even got pictures when we arrived home and a letter from Jet telling us about his stay. “We decided to pick Pet Stay for our dog Caesar by looking online as we wanted that home from home set up for our boy, previously kennels didn’t work for us. Janes communication from start to finish was excellent. Getting to know our dog beforehand with an in depth questionnaire, meeting him and asking his routine etc. We were confident Caesar would be in good hands after our initial meet up. Jane kept us updated with daily pictures (our request) on what Caesar was getting up to. He came home totally relaxed, well exercised and his coat so shiny! We are so happy with how Jane and Sophie looked after Caesar and can’t thank them enough. We will 100% recommend Jane to friends and family and will book again for any future holidays. “We used PetStay for the 1st time earlier this month as our regular dog-sitter was fully booked. The service that we received from Jane from the start of the process to collection of Hibbert at the end of our holiday was excellent. While we were away, Jane sent daily updates with photos and it was clear to see that Hibbert was relaxed and happy and getting many good walks and visits to the park. We would definitely recommend Jane and PetStay to anyone looking for some home boarding for their dog/s. We would have no hesitation in using this service again. “We previously used PetStay when a family member let us down. Our previous dog who has since sadly passed away was elderly and suffering from doggy dementia. We could never have left her in boarding kennels, thankfully PetStay was recommended to us and she stayed with the fantastic Georgia. We now have a new 7 month old puppy and we have decided to again utilise PetStay on our recent holiday. Georgia was already boarding a dog so we placed Amber with Anna and Eddie. From the initial meeting Amber really took to both of them. A genuinely lovely couple with an obvious love of dogs. We had no worries therefore in leaving her in their care. During our holiday we kept in touch with them and they sent regular updates and photos. Hi Jayne, we have just collected Cookee from Barbara, Fred and Alfie, who were wonderful hosts. I cannot say how grateful I am to the care and attention that Cookee had. We holidayed knowing that she was in the best of care. We certainly would. It hesitate using PetStay again and if possible Barbara, Fred and Alfie. First trip away from home without our puppy so a bit nervous about the whole scenario. The initial telephone talk through was reassuring and all communication clear. The pre-stay visit to Anna & Eddie though sealed it. They were so friendly and welcoming and just set the perfect tone for young Cooper. First stay went really well -5 star treatment. Cooper was very well settled on our return and seemed quite at home, and we’ll have no worries for the next stay at all. Just hope he wants to come home! Many thanks to Jane to match PetStay carer Michele to our 10 year old whippet Lola. She was very well looked after, and we certainly hope that Michelle will be available to look after her again for our next trip abroad! Five paws all around and highly recommended. We used PetStay for the first time for our Chihuahuas Scooter and Rocky and the service was great from start to finish. We were put in touch with Hughie and Evelyn who took care of our boys. They had great time. It was home from home and they had fab garden to run about in. The updates and photos we received while on holiday definitely put our minds at ease it was the first time leaving the boys. I would definitely recommend PetStay for all your home boarding needs. Thanks again. I would recommend this service to everyone I know who has a dog – it’s a much better solution than kennels. Great many thanks to Tracey, her family and a big shout out to Hudson their own dog for looking after our Harry for 2x weeks while we were away. As carers ourselves we had no hesitation in leaving Harry with Tracey and her family as we often encountered her and Hudson in the park while walking our own precious boy. Tracey was kind enough to send us updates on Harry while we were away which we really appreciated. It was extremely evident that Harry thoroughly enjoyed his stay with Tracey and he is now firm friends with Hudson and Tracey’s 2x young daughters. We would be more than happy to leave Harry with Tracey in the future. Thanks again Tracey and Petstay ! Great service! Kathryn looked after Benjie & Milo and kept me updated on how they were getting on. Both of them seemed very content and relaxed when I picked them up. I just wanted to thank you for being able to accommodate Skye at relatively short notice and at a busy time of the year. I would also like to thank Tracey and her family for taking such good care of Skye while we were away. It was obvious when I returned to collect her that she had settled in very well, possibly too well. Although I do not have any holiday plans for the foreseeable future, I will definitely use your service again. Max was back for his second visit to Jayne and her family. He was treated to day trips and long walks – just what Max loves! Jayne kept in touch while we were away and it was clear that Max was completely at home with the family. Great service from start to finish. Evelyn and Hugh are amazing! They took such good care of my dog Spike, it was the first time we had left him to go on holiday. He had a wonderful time and Evelyn and Hugh kept in touch to reassure me. Cannot recommend them or PETSTAY enough. Gloria was just perfect, she kept us up to date on Chico’s wellbeing regularly and provided a loving home for him while we were away for 5 nights. We would definitely use her again. Gloria’s dog Maggie also provided good company for Chico. We used PetStay for the second time in June for our 2 year old Cross Terrier Fudge. She stayed with Betty for the 12 days we were away and had a great time. When we took her over for the first meeting with Betty Fudge just went straight in and made herself at home. Which really helped to put our mind at rest. Betty was great at keeping us up to date with messages and photographs of Fudge which was great as we could see how settled and happy she was in Bettys’ care. We would certainly use PetStay again and would highly recommend them to anyone. Jess my 4yr old lab stayed with Anna and Eddie for 2 weeks. They are a lovely couple and obviously love dogs. I know I will use the service again and would be more than happy if Anna and Eddie looked after her. They text me a couple of times which really put my mind at ease. This is the second time I have used this service – very impressed! Charlie, elderly cocker lady, was well looked after by Barbara and by Alfie whos company Charlie now seems to be missing. Lovely lady, lovely home and super safe garden -lots of photos while we were away to reassure us. Five paws in every category! Sam is getting on in age now (16! ), and because of that I was reluctant to use a kennel as I had done previously. Jane matched us with Jean and Pat (and little Murphy) and they could not have been more welcoming – Jean sent me text messages while I was away to let me know that Sam was getting on just fine, and when we went to collect him at the end of his stay, Sam had clearly made himself right at home! I hope Jean and Pat are available next time we travel! This is our 1st time using this service & I cannot recommend enough. Jane was extremely helpful in pairing Baxter with his carers Anna & Eddie for his weeks holiday. From the 1st meeting with Anna & Eddie I knew Baxter would be cared for with the same love and attention he gets at home. Baxter had a great time! “I highly recommend the PetStay Service . It’s a professional company, from first initial call to the service that they provide. We were delighted with PetStay’s service, from first contact to actually boarding our puppy, Sherri. Jane was more than helpful in setting up all the arrangements and followed through at each stage of the process. The dog carers, Linda and Alan Harrison were the perfect match for Sherri who clearly adored her and Sherri in turn, adored them. We would highly recommend both PetStay and the carers to anyone looking for quality care with lots of love thrown in for good measure. 10 out of 10! Thank you PetStay. ” I recently used PetStay Glasgow for the first time. I left my terrier Louie with Linda and Allan who he absolutely adores. They took great care of Louie who can be quite a handful at times. Jane who arranges the whole thing is excellent, very quick to respond and very helpful. Overall I think the service is second to none. I will be using PetStay again in the near future”. “Chester stayed with Ellen and Jim over the weekend and he loved it. It all worked great and I didn’t worry about Chester, because I knew he was having a good time. This was the first time George was away from me overnight. I think he had a lovely time with Gloria. He was happy and bright afterwards and very confident in his surroundings. I am so happy to have found this service with you.. It is a big relief to me. Thank you so much. All information and communication was first rate. The organisation was fast and efficient. Our Labrador Nevis seems to have had a great time and to have made himself at home with Tracey very quickly. She responded to every “is he OK” message quickly and with a photo. We have used PetStay for our dog Rudi several times now and every time the service has been exceptional. I would highly recommend the service to anyone. ”Our young dog (18months old) had only stayed with family and we needed to increase the ‘pool’ of carers. We and the dog had an introductory meeting with Carol and Douglas and we were all immediately at ease – we then arranged a two day ‘sleepover ‘ which went very well. I would just like to say a ‘huge’ ‘Thank You’ to Hugh & Evelyn for looking after Barney when I was away on holiday. They sent me pictures & messages which stopped me worrying. Will certainly be happy to use their services again. Barney was very well cared for & their personal touches were very much appreciated. Our much loved dogs were getting a bit older (11 and nearly 15) and as we were going away for nearly 3 weeks we didn’t want to put them into kennels. Rang up to enquire and was impressed from the start with the professional approach. Our chosen homestay could not have been more accommodating and kind to our girls. I was anxious that they would settle and the trial was most encouraging. I cannot speak too highly of the care that was taken to give us peace of mind. Thanks to all concerned from us and our girls. Our dog hadn’t enjoyed his first experience of kennels and wasn’t keen to repeat. Someone recommended PetStay and within a few days we were introduced to a very nice lady and her dog. He spent a week there and was neither up or down. I was sent lovely photos of him during the week. Wouldn’t hesitate to use again. Being first time dog owners, we were very apprehensive about leaving our beloved Muttley behind when going on holiday. Jayne, our Petstay carer was first class and put us at ease immediately. Muttley had the best time at Jayne’s and was spoilt rotten! Jayne kept us updated on how he was doing while we were on holiday so we could relax knowing he was also having a great time. We would thoroughly recommend PetStay and will definitely be using them again. This was our first time leaving our puppy Molly, but I was very happy with the service provided by both Jane and Molly’s carer Georgia who was kind enough to keep me updated with texts and photos while we were away. I would highly recommend and will definitely use PetStay again in the future. Jess and Milly’s week of fun. We were matched with a carers Jean and Pat and their dog Murphy. They were lovely and who loved dogs. We placed 2 of our dogs into home care for 9 days, it worked really well for us and we had a wonderful holiday knowing they were being well looked after. Would recommend to anyone to try their services and l certainly will be using them again in the future. Molly’s stay…. I can’t recommend PetStay highly enough. I was really worried about putting Molly in kennels and was recommended PetStay. They were so helpful and found a family that could look after Molly. She had the best time with Jayne and her family who really seemed to enjoy having her to stay. Magnificent – Tiko was greatly welcomed by Jean, Pat and Murphy. Our minds were put at ease from our first meeting and we are so glad we contacted PetStay and will be using them again. Fully recommend PetStay. Meet Bronwyn who has just spent a lovely weekend with Evelyn and Hughie…all her doggy needs were well and truly catered for plus a game of footie with Hughie. Thank you all so much. “We have been absolutely delighted with Jane and her daughter Sophie. They have been so warm and welcoming. They have made Muffi’s stay really comfortable that’s for sure. Alfie had a great time with Hugh & Evelyn and thoroughly enjoyed his “holiday”. Staying in a friendly family environment that PetStay offers is a far better option for both Alfie and us as we can enjoy our own break knowing that he is being well looked after. Thank you so much for your email. Georgia is a gem, such a lovely women, and I am really happy with the service provided. Thank you for placing her with us/ Pip and for all your wonderful customer management. Many thanks to Mary and Annie for taking good care with Brodie. He had a lovely stay and enjoyed making friends and playing with Annie the five month old collie. I hope to use your service again soon. I would recommend PetStay. Charlie’s holiday …. Charlie, the middle aged spaniel, had never been away from home before so I was a little apprehensive. No need – Elaine and John were great and made her very much at home with their own Orio and Pete the cat. So glad I found PetStay, Jane is more than helpful and reassuring. I will have no hesitation in making use of this service again should the need arise. Petstay is an excellent service. Jasper was homed with Hughie and Evelyn. At our first introduction meeting it was clear that he was going to be very happy and well looked after in our absence. They clearly love dogs and Jasper settled very quickly. This was very important to us especially our daughter as this was the first time we had left him! It was helpful having the initial meeting to allow us to discuss any concerns or special requests we had. This allowed us to go on holiday and know he was safe and cared for and we could text them for an update at any time. We will definitely use Petstay again. Many thanks to Lorraine for providing a great home for Lily while we were on holiday last week. It was our first time using PetStay and I couldn’t recommend Lorraine or the PetStay service more, we will definitely use again. Many thanks. Our Wee dog Max is nearly 2 and never been away from home. I was really nervous about leaving him but both Jane and Gloria put my mind at ease. I can’t thank Jane enough for her efficient service and Gloria for her patience and care of Max. Gloria also knew I was nervous leaving Max and kept me updated on his progress. I would not hesitate recommending or using them again. Just returned from a weeks holiday having the comfort of knowing my wee dog was happy and being well looked after by her host Georgia. A big thank you to you and Jane and will see you later in the year!! This was the 2nd time we used PetStay and we weren’t disappointed. Orla was quite at home and it was obvious the attentive care she enjoyed during her stay with Jean, Pat & Murphy. Nothing was too much trouble for Jean & Pat even to lowering the gate since Orla is a very small dog and I was nervous she would escape. Thanks again for excellent service. Excellent wee break …. Bailey , my beautiful boy, has been very poorly since the booking to stay with Carol & Douglas was made and I wondered if I should leave him at all. He was only staying a couple of nights this being his first visit. We had already been to meet them and could see immediately that Bailey would be very well looked after and loved on his wee break. Carol was so kind and helpful to Bailey and especially to me and was happy to take him even although he wasn’t feeling great. I was very reticent to leave him but Carol insisted and kept me advised of how he was doing over the three days. I am totally against kennels and this is a marvellous alternative. I can’t speak highly enough of Carol & Douglas and Jane who runs the franchise. It is so good to be able to leave knowing that your precious dog is in great hands. Baileys photograph now hangs proudly beside the other doggies that visit Carol and Douglas in the rouges gallery. I have two more bookings in the diary with them and he is looking forward to going back again to be spoilt. We used Petstay Glasgow for our dog Rudi, whilst we were away for our wedding and honeymoon. Jane offered such a great service. She really listened to what we needed and you could tell that she genuinely knows how hard it is to leave your beloved pets. Rudi went to stay with Janine and Tilly. Janine was amazing , she sent us regular pictures of Rudi’s adventures. Which really put our minds at ease whilst we were away. Rudi looked so happy and content. I am sure he didn’t want to leave when we picked him up, he has made a life long friend in Tilly! We will certainly be using Petstay Glasgow again and would recommend them to anyone. ‘We dropped Marley off with Janine for the 1st time for the weekend and I could not have been happier. He was treated like one of the family and seemed to have a great time. This is the Second time using PetStay and it is so reassuring to have your pet stay somewhere that you’re happy with’. Thank you for a top class service. I was extremely nervous about leaving Simba but the care and attention he received was excellent and for that I thank you. Also the fact I didn’t give you much time to get something arranged for Simba so well done. I’ll most definitely be using your services in the future for Simba if you can accommodate him. I will also be recommending your company in the future. I had a lovely weekend away with my husband which wouldn’t have happened if Simba hadn’t been placed extremely well. Again thank you very much. Lorraine and John are such lovely kind people and I can’t thank them enough either. Mason stayed with Janine for 3 nights recently, it was the first time he had stayed overnight with anyone other than family, so naturally I was a bit concerned how he would react – there was no need to worry, he was immediately comfortable with Janine and her little dog Tilly and he was happy and relaxed when I collected him! Really appreciated the daily updates and photographs, a nice touch. Mason had been so well looked after, I can’t recommend Janine highly enough! Used this service for the first time and was extremely happy where Marley was put in a lovely home with another friendly dog and from what I could see he had a whale of time. Would recommend and will definitely use them again. PetStay were really fab from start to finish , my little cairn terrier Candy had a great time living with Jean while I was away on holiday. She is a very timid little dog and she was really settled at Jean’s and really well looked after which really put my mind at rest as she can be quite strange with people she does not know. I will definitely be using PetStay in future if I need her looked after again. Very professional and efficient service from Petstay. Jane found us super ‘D,B&B’ for our rough collie at very short notice. Will certainly be using Petstay again and very happy to have found it! This is my first time of using your service. I found it very helpful meeting the family before I decided to let my dog Cheiko stay with them. I felt the family were keen dog lovers and welcomed us and listened to what I wanted for my dog whilst I was away. They kept in touch by text and sent photo’s which made me feel my dog was well cared for. I would use this service in the future. I used the services of PetStay over the half term holidays and found Jane to be so professional and caring. This is a lady that really puts your mind at ease and kept us updated on our dog Rambo, throughout the process. The service was fantastic and so were the family we were placed with. Its the little touches that made the difference. A quick sms update and a photo of our pet really went above and beyond what I expected. Well done. Our two dogs mean the world to us.. Our dogs were very happy indeed when we picked them up from Carol, and so were we. I just knew they had been well looked after and most importantly loved. I would not hesitate to use pet stay again and would highly recommend. Amazing! Couldn’t be happier after needing to be away for 5 days. Leo was so well treated. From the basic needs to a daily update to what was happening and how he was feeling, Lorraine kept me relaxed when I needed to be away. Can’t recommend enough. Thank you so much! Jean looked after Pawz as though he was her own, giving loads of love and affection. We were delighted that Pawz had a lovely time and this meant that we didn’t worry leaving him. I would like to say a huge thanks to Jean for being wonderful and looking after our dog, treating him as special as we do. We can look forward to our next holiday knowing that Pawz will have a wonderful time too. Many thanks for helping and taking all the stress out of leaving Pawz. Hi Jane, just a wee note to let you know how pleased I was with your service. We came home from Florida on Tuesday & collected Jak from Lorraine. He looked great & was well looked after. He has a lot of health problems & we were worried about leaving him, I definitely would not have left him at all but my son was getting married in Florida. I know it was a lot for someone else to take on the responsibility of looking after an elderly sick dog but Lorraine & her husband did a great job. I would highly recommend your business. Huge thank you to Gloria & Maggie for taking such care of Orla (13month old Mal-shi) was a real home from home experience She made a special friendship with Maggie. Thanks to Gloria we had updates about Orla’s adventures. No hesitation using PetStay again it was such a pawsitive experience. Thank you too Jane for answering all my questions and making leaving Orla for the first time such a seamless process. A holiday enjoyed by all. “What a positive experience we had with PetStay. I would thoroughly recommend this service. Kennels was never an option for us. What a great idea this is. I would like to thank Gloria our carer and her wee dog Maggie for taking great care of Pixie our wee Bichon Frise. Pixie and Maggie had a great time together and I have booked more stays for this year. I can rest assured knowing that Pixie is being well looked after”. “Our little Benji (16 weeks) had a great weekend with Gloria & Maggie. Gloria was amazing, kept me updated all day, took him out, played well with Maggie, wrapped his antibiotics in a little bit of ham. Couldn’t recommend them enough. We are going to Greece next month and I feel confident to leave Benji with Gloria & Maggie again. Jane has also been exceptionally helpful and professional. I give you all 5*”. Petstay was fantastic. My little dog Teddy (a maltipoo) stayed with a lovely couple with 2 dogs of their own and I couldn’t have asked for a better result, I had no worries about leaving him. Well vetted and organised service. Would not hesitate to use again. To those of you who have never left your dog and are anxious about how this works… let me start by putting your mind at rest. PetStay is a completely professional service which is run by people who completely LOVE dogs. Kennels for us just wasn’t an option and this is the real alternative. We had nothing but a positive experience with PetStay. Our little dog Chewie was placed with a lovely family who we were confident would give the utmost care to our beloved pooch. The service is easy, safe and your dog only stays there once it’s clear that both your dog and the carer like each other. it’s a two way street. Our little guy came back, happy, relaxed and I know will look forward to going back to his PetStay Family. Petstay were brilliant. The Customer Service is fantastic and all angles are covered. My wee toy Poodle, Poppy, was well looked after by the Carer when my Husband and I went on holiday. I will definitely be using Petstay again. I highly recommend using Petstay as it was a first class service I received. This was our first experience of Petstay and we are delighted with the care our Labrador Cara received. She really couldn’t have been any better looked after. We will certainly be using Petstay again when we next go on holiday and I am already recommending to our friends that they do the same. I think it’s fair to say that Autumn has now arrived in Glasgow☔. Those wet and muddy walks won’t be far away Towels at the ready!! We can’t really complain after such a fabulous Summer. If we looked after your dog this Summer, thank you very much for booking with PetStay Glasgow and we hope to see you and your dog/s again very soon. Speaking of which, we are now busy taking bookings for the October holidays ( nearly full up ) and for Christmas and 2019. Some of our regulars have already booked their favourite carer for next year so don’t leave it too late! PetStay Glasgow has a fab team of lovely, dog-mad carers all doing an amazing job of looking after their guest dogs. We do, however, need more to ensure we can manage the demand for bookings. So, we will be advertising again for some more lovely, 5-star carers to join our team. It’s been another busy January at PetStay Glasgow with our regular customers and dogs getting their holidays sorted and lots of lovely new customers and their dogs finding out about our great service! At this time of year everyone is looking forward to some sun and relaxation and so we expect to be kept quite busy in the office dealing with customer enquiries. So, if you’re planning a holiday and need to consider one for your four-legged friend too, don’t delay as we are getting quite busy for the Summer months already. As always, we are aiming to increase our team of fabby dog carers, so we have enough to go around. Would you or someone you know be interested in Joining our Five Star Team of Dog Carers? You can have a dog of your own at home already. Perhaps they would enjoy the company of another dog? Our PetStay Carers welcome dogs into their own homes whilst their owners go on holiday. You always meet the customer and their dog before any booking are confirmed. You would care for the dogs as if they were your own; they would be a member of the family, enjoying all the love and attention that you could give to make sure they had a wonderful, stress-free time in a home environment. You must be a genuine dog lover with experience of owning or caring for dogs, be at home for a good proportion of your day, have a secure and unshared garden and be fit for walkies! As we live in the South West of Scotland not all your walks would be in sunshine, but the benefits of getting out there with a dog far outweigh the inclement weather! Keeping fit and healthy through regular walking. • Meeting other similar minded dog walkers and their dogs. • Dog companionship without the ownership. 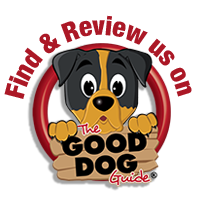 • Knowing that you are providing a 5-star service to dog owners and their beloved four-legged friends – giving peace of mind to them when they go away. • Earning a little extra for doing something that you love. If you live in a G postcode area, are retired or at home during the day, have a secure and unshared garden and would enjoy looking after other people’s dogs then please get in touch. We are recruiting now. Have a look at our website for more information on becoming a carer https://www.petstay.net/become-a-carer/ You can complete an application form for the Glasgow Branch on this page. Well I’d better get on. I’ve had a few IT issues over the last week so I’m way behind with our FaceBook page! But before I go I’d just like to wish all of our lovely customers and doggies a Very Merry Christmas ? ?and a Wooftastic New Year!?? P.S. Don’t leave it too late into the New Year for your Easter and Summer bookings as it gets very busy. So if you are hoping to book a certain carer, it’s never too early to get in touch! Well it feels like Autumn has arrived again in Glasgow. Summer passed in a flash for me – so much so that I didn’t get round to posting any Summer News – Whoops ! We had so many lovely dogs boarding with us over the Summer, keeping our carers out of mischief! Thank you to all our customers for sending on such great reviews. It is so nice to get such good feedback, particularly for our carers, who really do a brilliant job. Things have been busy at PetStay Towers over the last 2-3 weeks with bookings for October and November and some customers getting their bookings in with their favourite carer for next Summer already! So organised! So, in between taking bookings, I will be out there looking for some more 5 star carers to join our team. It would seem you doggy folk can’t get enough of PetStay Glasgow and so we need more! In the meantime, enjoy the Autumn but remember Beware of Kicking those Autumn Leaves! There are still some dog owners who don’t pick up. I can’t believe that PetStay Glasgow has been trading for a whole year now. And it’s been a great year. We’ve made a really good start providing quality home-from-home care for the lovely dogs in and around Glasgow. We have carers in many parts of Glasgow including Bearsden, Milngavie, Killearn, Baillieston, Easterhouse, Bishopbriggs, Mearnskirk, Giffnock & Cumbernauld. I’m really proud of the team of carers I have recruited over the last year and our owners are really happy too. This is evident by the great reviews from owners and by the repeat business over the last year and into this year, with bookings made as far as January 2017. I have been busy with on-going marketing – visiting vets and doggy related businesses and some of my carers are really active in spreading the PetStay word in their areas. Our Facebook page is quite busy and it’s great to see our followers growing steadily. PetStay Glasgow is half way through it’s first year. We had a good Summer with lots of enquiries from customers and their dogs and we have already have returning customers and some bookings for Easter and Summer next year. Our team of carers is continuing to grow. I am pleased to say that we now have 14 fab carers across Glasgow with really varied dog breed experience between them. They are all such lovely, doggie people and will do a great job of looking after your dog/s whilst you enjoy your holiday. I really enjoyed getting to some doggie events around Glasgow over the Summer. The first outdoor event of next year will be the Vet School Rodeo in April. So, until then, I will be on the road visiting some more vets and doggie related businesses to tell them all about PetStay Glasgow. PetStay Glasgow has been trading for just over 3 months now and things have got off to a brilliant start. My team of fabulous PetStay carers is shaping up nicely. Between them they have lots of varied doggie experience. From Boxers to Bichons, Labs to Lhasas, PetStay can cover them all. Bookings are increasing steadily as the PetStay word spreads. One of the best parts of this job is talking to the owners about their beloved doggie. I have had a number of owners who have not used home dog boarding before or have never left their dog at all. Their thanks and relief at finding a great carer for their dog is what this job is all about. It’s great! And there are already some repeat bookings in the diary. July 25th – The Doggy Day Out – Calderglen Country Park – 10am-3pm. There will be the have-a-go dog dash and agility trail with prize categories including cutest puppy, best 6 legs and most handsome dog and much more. There will also be stalls and activities from various dog charities and organisations on the day. August 8th – Family Fun Day – Cambuslang Park – 1-5 pm, Cairns Road Entrance – More information to follow on my Facebook page nearer the time. September 6th – Bark in the Park – Cambuslang Park – 1.30pm, Cairns Road Entrance – More information to follow on my Facebook page nearer the time. If you need help in finding a home from home for your dog or if you would like to join my team of fab doggie carers, please get in touch. August 2014 and life in our house changed a lot! Enter Jess, our bouncy new puppy and a totally new routine for the family, especially for me! Jess is almost 9 months old now and I can’t believe how much my life at home has changed. It is hard work bringing up a puppy, no matter how well prepared you think you are. But it is so rewarding. They are so very good for you. I love getting out in the fresh air, no matter what the weather and I have met a lot of lovely, like-minded people on my many walks. Jess is the greediest Labrador I have ever met (and I’ve known a few ). She is a total opportunist and despite my trying hard with her training, she will still steal food of any shape or form when she can. But we all love her to bits and she loves us back – unconditionally – which is what is so great about dogs. I left my job as a physio after 24 years in the NHS in October 2013. I had always enjoyed my career and put my heart and soul into it. However, after having my daughter, something changed and gradually I became more unsettled with my career. Making the decision to leave was not easy but I know now that it was the right one for me. After a bit of a break I started looking for a change of direction. I wanted to work but I wanted flexibility and if I could do, work at home. When I came across the Petstay franchise opportunity it sounded ideal. Everything feels like its falling into place now. I feel like I’m where I’m supposed to be. I have my long-awaited doggy, and a job which combines a couple of my favourite things – dogs and people. All I need now is success! So I’m looking forward to establishing a great team of dedicated carers across Glasgow to provide happy holiday homes for dogs and much peace of mind for their owners. If you’d like to be part of that team, please give me a call. PetStay Glasgow’s office address is 82 Earlbank Avenue, Scotstoun, Glasgow, G14 9DU. For the purposes of data protection PetStay is a data controller ZA183343. You can verify the details you have submitted to PetStay by contacting us by email janemoyes@petstay.net or by post at PetStay, 82 Earlbank Avenue, Scotstoun, Glasgow, G14 9DU. Alternatively, you can telephone us on 07500 787643. You can always feel free to update us on your details at any point by sending an email to janemoyes@petstay.net . You can request a readable copy of the personal data we hold on you at any time. To do this, please contact us via email janemoyes@petstay.net .